Muscle for Life Success: Frank B. "I am more confident, have more energy, and am so happy that I finally made real gains!" 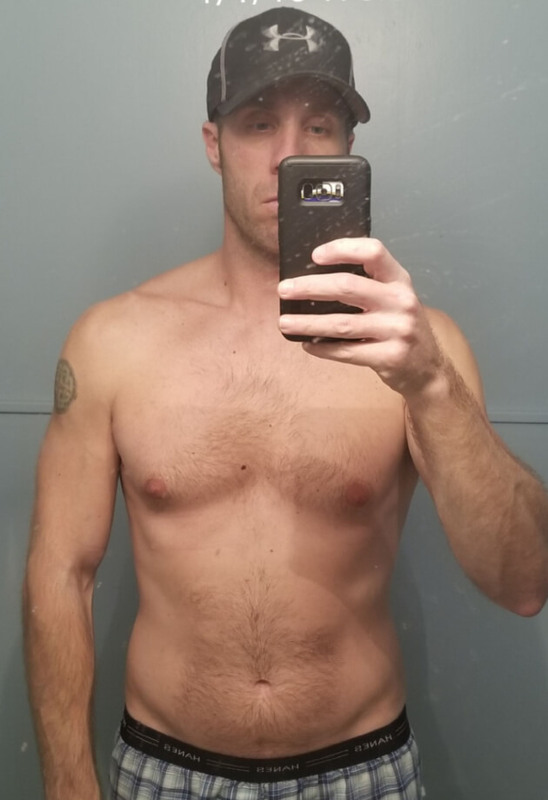 Started 1/1/18 at 173 lb and 18% body fat. Ended my cutting phase 8/1/18 at 153 lb and 10% body fat. I started on an immediate cut–went 8 months long but definitely should have condensed it into 3-6 months. I assumed the process would have been harder for me (since I was over 40), but in reality, it would have worked better in a shorter amount of time. My next plan is to reverse diet and get back to a maintenance weight through winter and then cut again next spring. I used the 4-day split and ran a 5-day split when my schedule allowed. I incorporated two high intensity running days that were done by doing sprints up a huge hill at a park. When the weather was bad, I performed them in a pool by sprinting in place for 25 seconds followed by rest until the next minute began. I laughed at the thought at first, but it was very effective! Nothing kept me from trying it. It was such a different, fresh perspective that it really triggered my curiosity and drive to try it. The entire thing! I loved taking my TDEE numbers and creating an actual diet made for me that was made up of healthy foods that I actually enjoy eating. I learned how to do it and how important it is within Bigger Leaner Stronger. The workouts allowed me to steadily increase and build up my weak areas while getting me in & out of the gym quickly & efficiently. Bigger Leaner Stronger obliterates everything I have tried. The Bigger Leaner Stronger book was the first thing that actually made sense to me after I read it. Mike’s before/after pictures (in the book) were the thing that made it all click for me. This book was not written by some sponsored athlete pushing products and didn’t contain general workouts that weren’t designed for me. Everything I have tried out of magazines or online over the course of 10 years were such a waste of time. I wish I had found Bigger Leaner Stronger earlier! 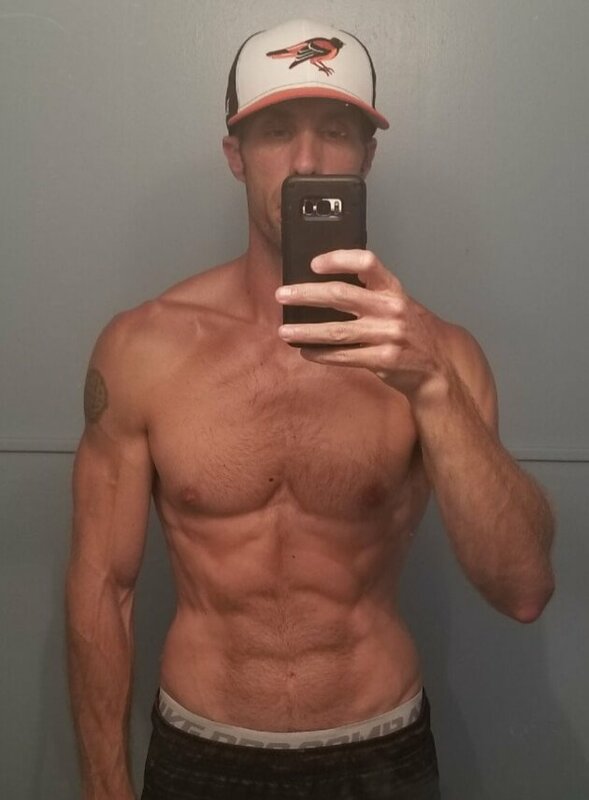 I am more confident, have much more energy, and am so happy that I finally made real gains in the gym and dialed in my diet after so many years of struggling with it. I have more knowledge now regarding diet construction and workout construction. 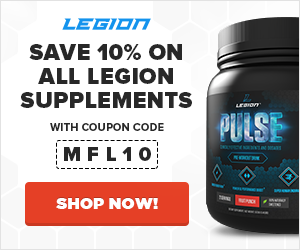 I love to answer the “What supplements are you taking bro?” question now with what I have learned from the Bigger Leaner Stronger program. Their reactions are priceless when I tell them the answer. I would recommend this to EVERYONE, men and women, who are tired of searching for effective workouts in magazines and online. The Bigger Leaner Stronger program takes the basics and does them brilliantly. It is designed for YOU, not what a magazine or website considers an average user, etc. No matter what your starting point is, or how tough you think it will be, the program works and does not sacrifice your happiness in order to give you results. All it requires is your focus and hard work. Read the entire book and highlight areas of focus for you. Reference them and build your diet and workout. Pick a start date and jump in. Don’t be afraid to adjust on the fly because after a few weeks, you will be dialed in and make great progress. Having a macro app helped me with my diet and really kept me on track as far as total intake. You will not find your groove in the first few days or maybe weeks, but you will find it quickly and really get solid results. Be patient and stay focused no matter what happens. No, but I will be incorporating them into my next phase! Muscle for Life Success: Pedro R.